Ireland’s Aidan Ryan – new CEO of Schmitz Dong Feng Special Vehicle Co. The Board of Directors of the joint venture Schmitz Cargobull (Wuhan) has confirmed the appointment of Aidan Ryan as the new Chief Executive Officer of Schmitz Dong Feng Special Vehicle Company, which is based in Wuhan, China. He began his work for the Schmitz Cargobull plant in China at the beginning of December. Aidan Ryan has extensive experience working for international companies in the areas of technology, sales and business development, as well as in business management in the Asia-Pacific region. The Board of Directors of the joint venture Schmitz Cargobull (Wuhan) is looking forward to working closely with Aidan Ryan, since he contributes both technical expertise and wide-ranging sales experience to the company. “Due to the unique, solid know-how he has gained over a period of many years in different countries, his impressive successes in leadership roles in the USA, Europe and Asia, and his knowledge of the commercial vehicle market, Aidan Ryan is exceptionally well suited to take over the strategic direction of our joint venture in China. 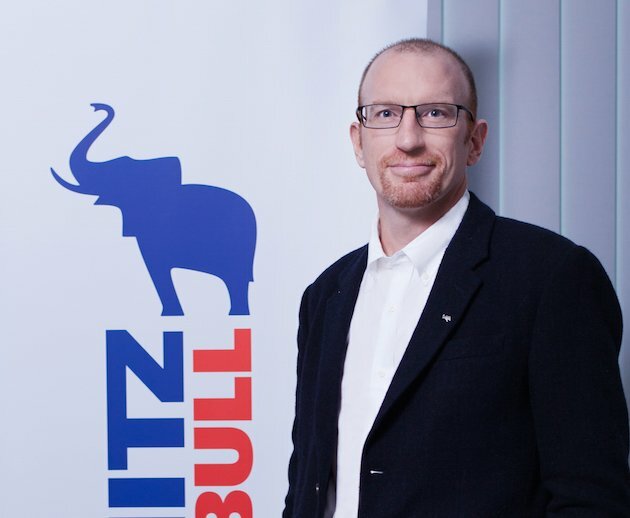 We are thrilled that he has decided to take on this exciting new challenge,” says Professor Jürgen Kluge, Chairman of the Supervisory Board at Schmitz Cargobull AG. After completing an engineering degree at University College Dublin, the native Irishman began his professional career as a senior test and application engineer at Ingersol Rand in Dublin. Within the company, he moved to Minneapolis where he was responsible for both the truck and trailer divisions. In 2006, again within the company, he was appointed technical director for climate control at the headquarters of Ingersol Rand in Shanghai. As general manager he was responsible for managing all technical divisions and for growth within the organisation, and as director of product development he was also responsible for the sales, service and marketing activities in China. Before joining Schmitz Cargobull, Ryan served as Vice President of R & D for the Asia-Pacific region for the Kion Group APAC in Xiamen/China and was responsible for product development for the local markets. “I’m very happy and am looking forward to taking on my new tasks and responsibilities at Schmitz Cargobull in Wuhan. I will further expand the company’s success and the product portfolio in China and beyond. I express my thanks for the confidence placed in me and for the chance to make a positive contribution to the success of the joint venture,” said Aidan Ryan. Since 2015 Schmitz Cargobull has been producing trailers at the new plant in Wuhan. The trailers, which are specially developed and constructed for the Chinese market, are particularly well suited for use on roads with a well-developed infrastructure but also for the challenging road network in the mountains and in the tundra.